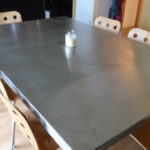 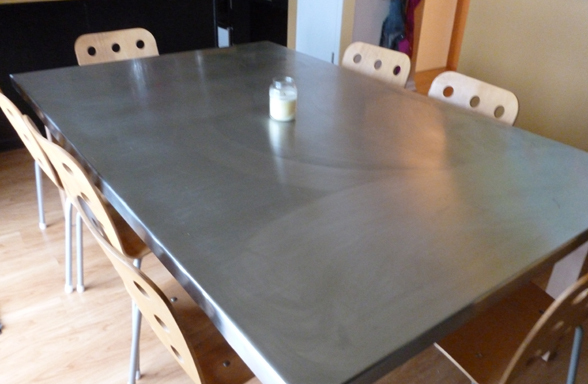 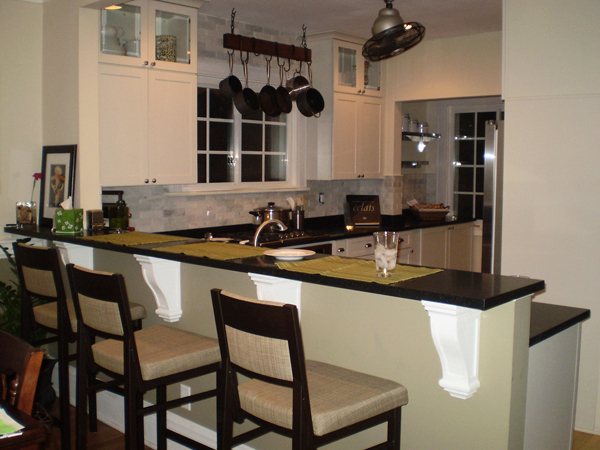 Click on an image below to view some of our work! 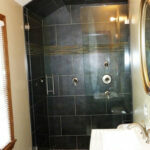 This was located in Brown Deer. 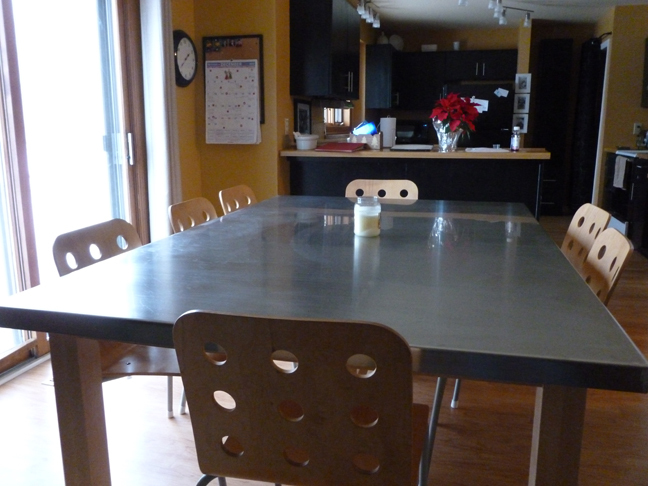 This family has eight kids, six adopted. 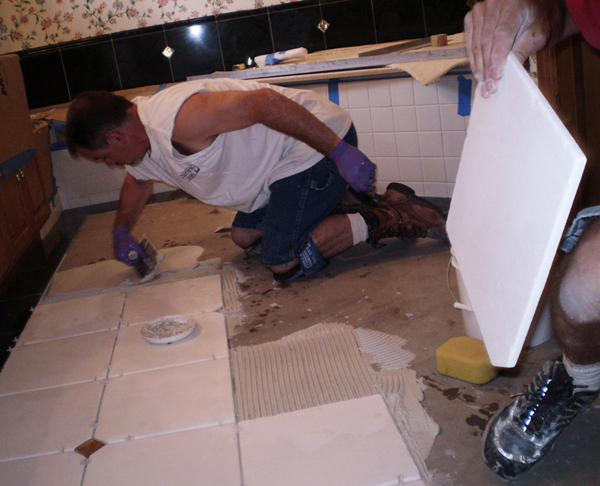 God bless them. 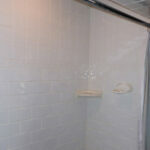 This two person shower stall is six feet wide and has recessed shelving. 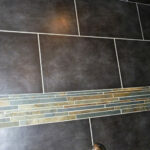 It has tile on the slanted ceiling. 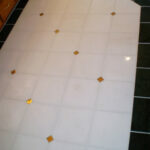 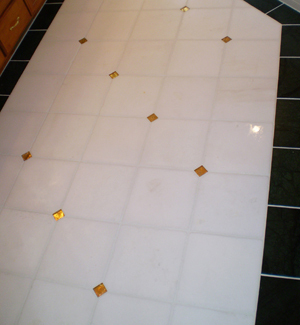 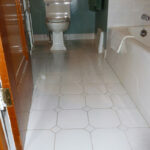 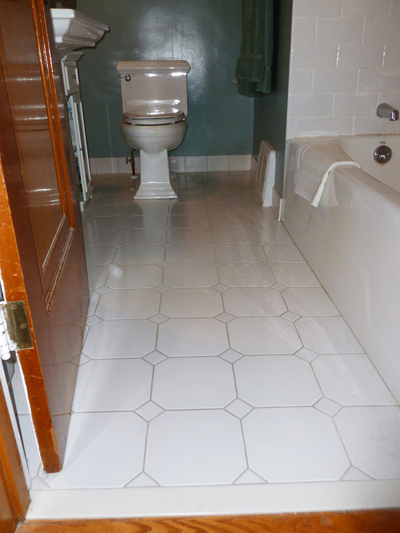 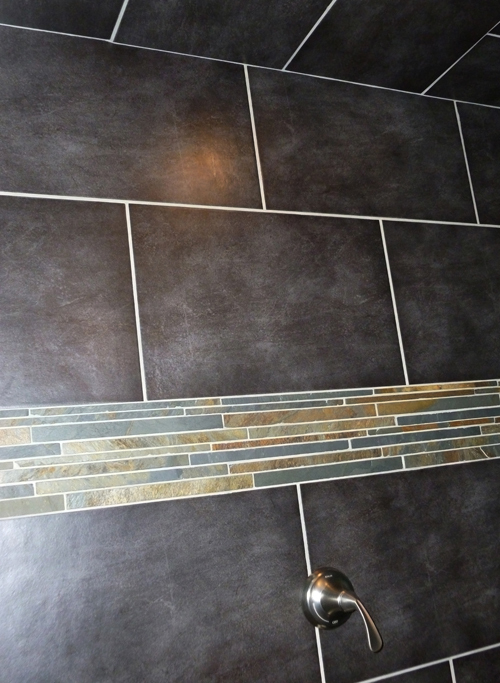 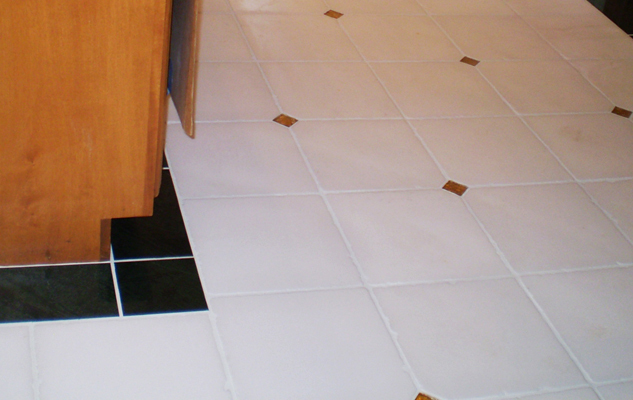 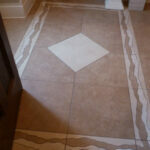 This floor has a dark green marble border with 2″ golden accent tiles. 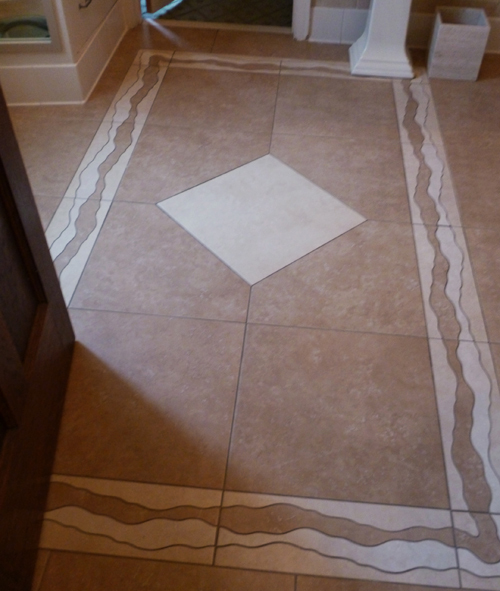 This floor has a “carpet-like” border inlay. 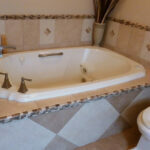 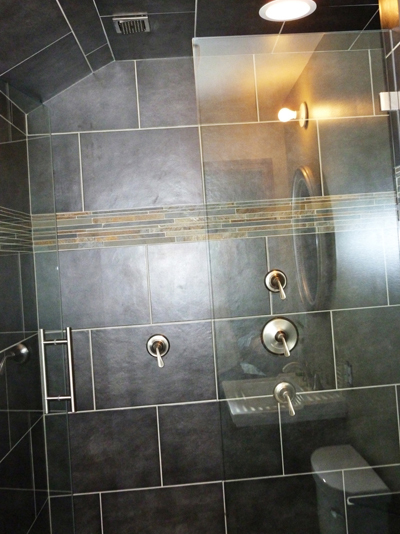 The tub surround has an adjacent tiled shower area with a glass door. 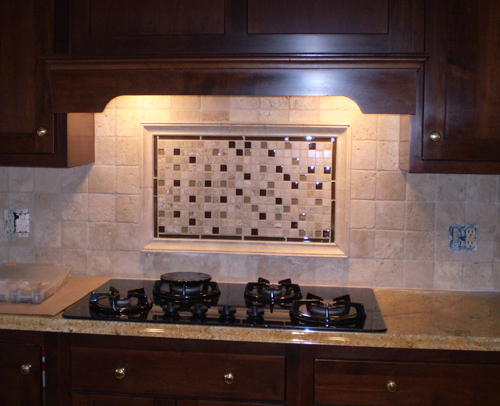 A beautiful and colorful kitchen stove backsplash and sink area. 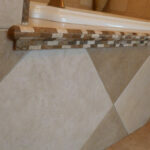 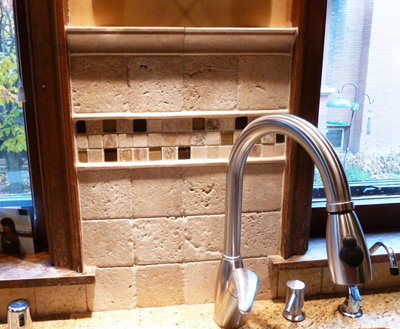 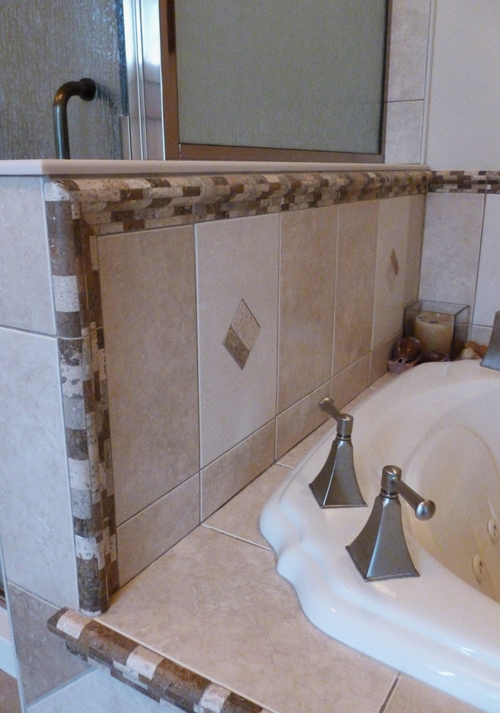 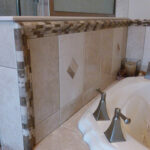 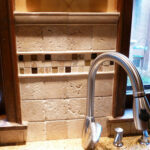 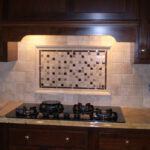 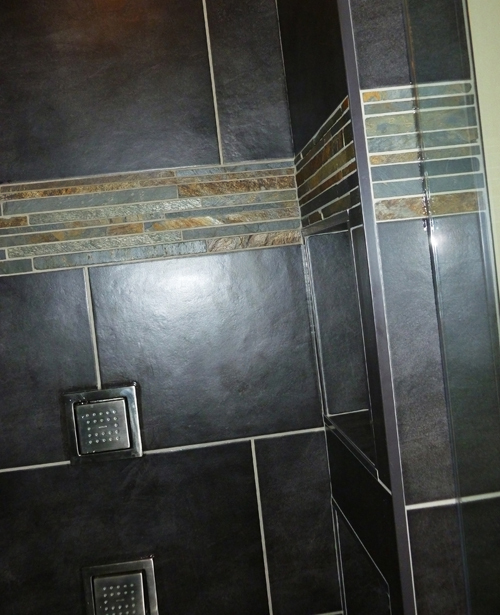 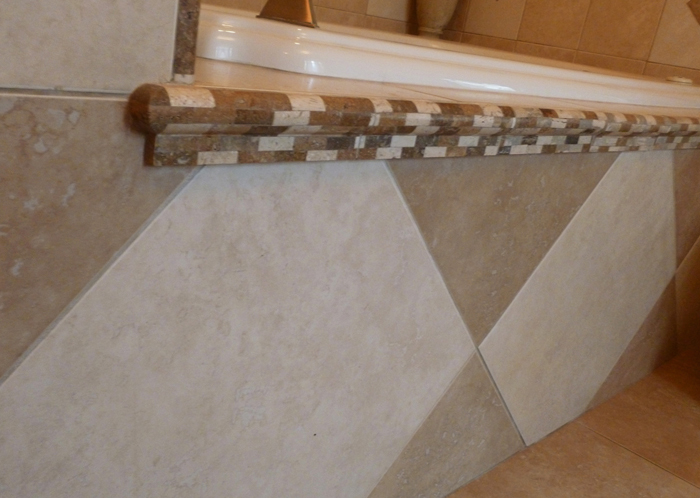 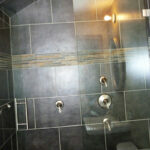 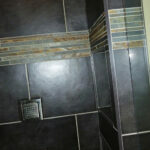 This project was done at the same house as the Shorewood Master Bathroom. 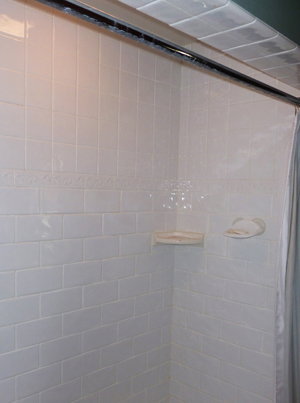 Look closely. 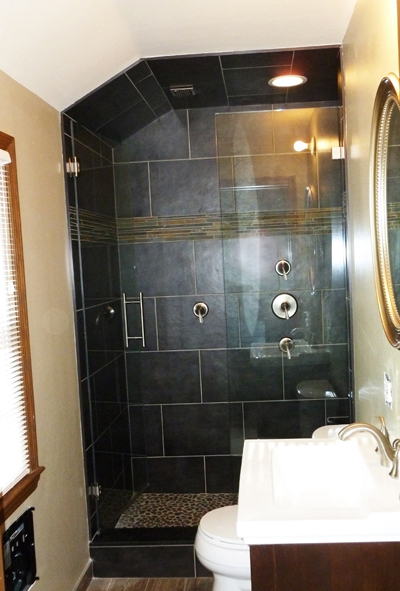 You’ll see subway tile with a corner shelf above the bathtub. 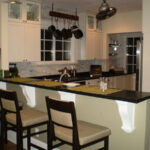 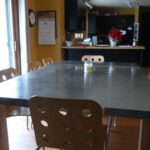 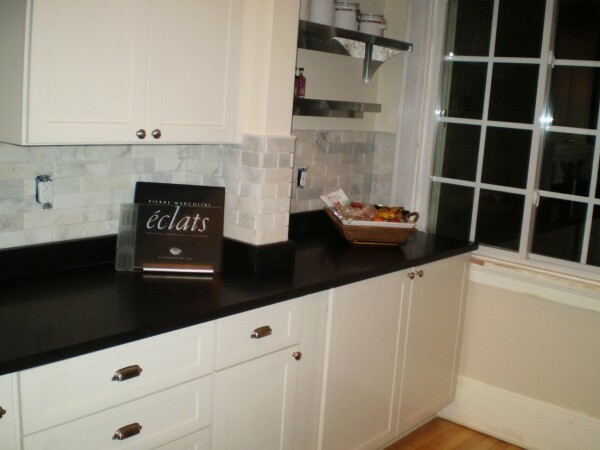 Black granite counter tops with a stone back splash. 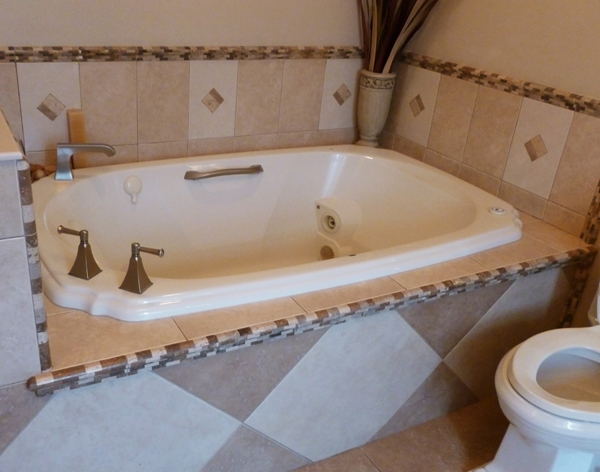 Classy. 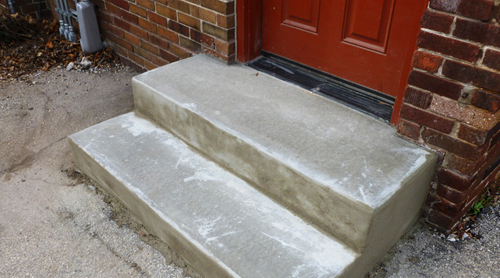 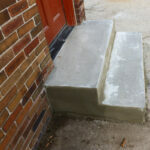 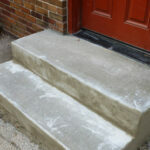 Four foot wide, 16 inch steps, solid concrete.